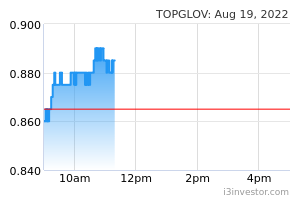 Top Glove Corporation's upcoming 2QFY8/19 earnings could be flattish sequentially and y-o-y, and come in below expectations. We lower our FY19-21 EPS estimates by 7- 10% as we see rising competition in the near-term. Consequently, our Target Price is reduced to MYR4.60 (-10%) based on an unchanged CY20 PER target of 24x (10% below our target PER for Hartalega). Aspion could turn slightly profitable in 2QFY18 (1QFY19: MYR3-4m net loss) owing to the improved productivity. Despite +10-15% y-o-y volume growth in 2QFY19, earnings could be flattish y-o-y due to a higher tax rate (2QFY18: 12%). While there is no production data from China, we highlight that the vinyl glove ASP has been on a downtrend since Mar 2018 and has fallen to a 5- year low of USD10/’000 pcs in Mar 2019 (-9% m-o-m), signalling a much higher supply of vinyl gloves currently. Though vinyl glove is mainly used in the non-medical segment, Malaysian glove players also benefitted somewhat in 2017-18 as they produced the cheaper vinyl glove to fill the supply vacuum. 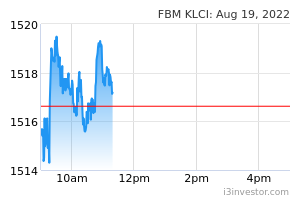 Hence, a resumption of China’s supply may also affect Malaysian players’ volumes/margins slightly. Vinyl gloves contributed 3% to Top Glove’s revenue in 1QFY19. We lower our FY19-21 EPS forecasts by 7%/10%/8% as we lower EBITDA margin assumptions by 0.3-ppt/0.5-ppt/0.3-ppt. However, because of consolidation of Aspion’s full-year earnings in FY19, our projected FY19- 21 EBITDA margins would still be higher than that of FY18 (+0.4-0.6-ppt).